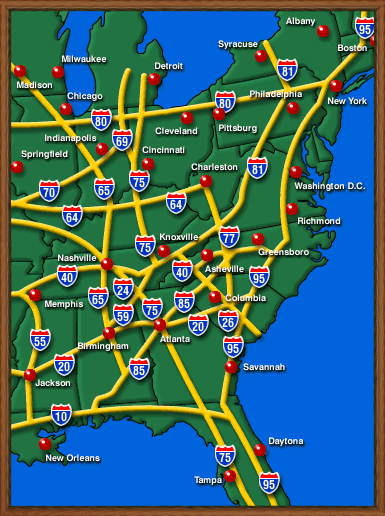 This map represents major US interstates. 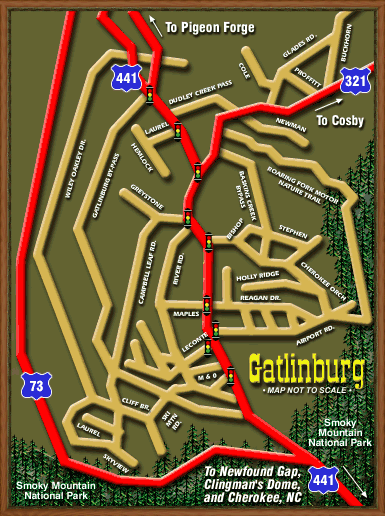 This map represents Gatlinburg's major routes. 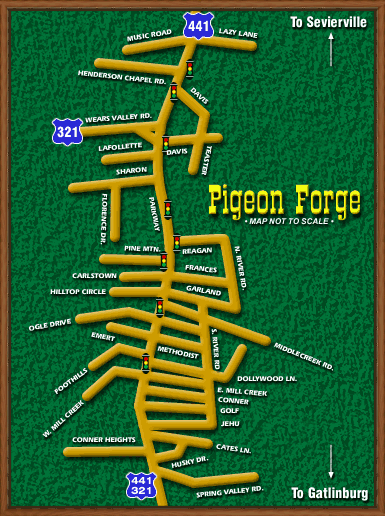 This map represents Pigeon Forge's major routes.